The following is a letter from Sergey Mochalov. 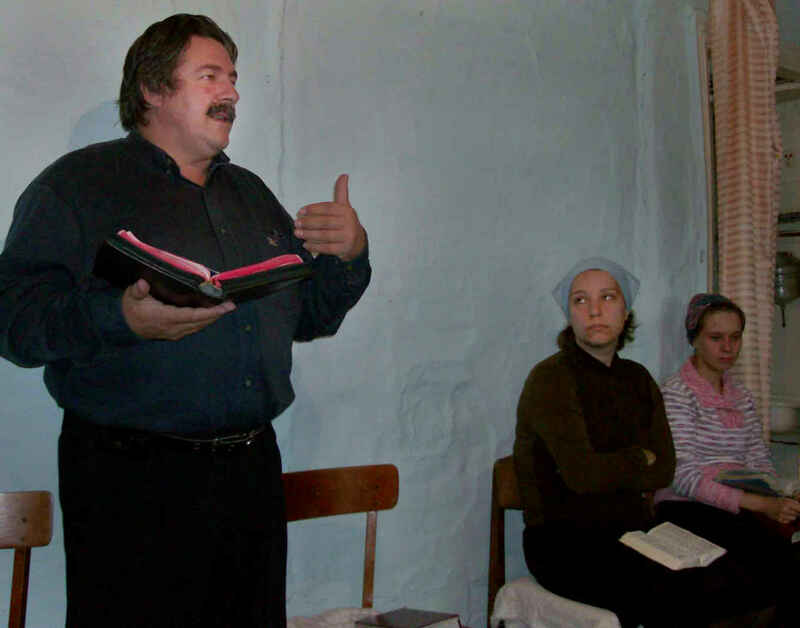 He is the leader of a fellowship of pastors in the Irkutsk region of Siberia who are being used by God to spread the gospel and plant churches throughout the area. We have had a very cool and rainy summer and are promised an early autumn and winter. Weather rendered many obstacles for us in our efforts to spread the gospel of grace throughout the Irkutsk region. My automobile cannot handle the unpaved and unkept roads which are filled with big holes and mud. Alas, we have not made as much progress as we had hoped in reaching more villages with the preaching of the glory of Christ; but we praise God for the work we have been able to do. Please continue to earnestly pray for the church in Buryatiya, the city of Ulan-Ude. It has been difficult to visit them this summer, but they remain in need of our help. We plan to visit them soon, if the Lord wills, in order to continue teaching and encouraging them in God’s Word. Praise God that there is now an awakening in the city of Tulun! There was a church here some years ago, but they had fallen away and the church became compromised. The Lord has recently answered our prayers and shown them grace! As a result, they have invited us to come and help them restore this church and preach to them the gospel! The majority of the people there are asking for this, but the former pastor is trying to interfere with this spiritual awakening of the people in every possible way. They need your prayers very much in Tulun. The Lord continues to visit many of the people whom we have shared the message of the Kingdom of Jesus Christ with. In the city of Cheremkhovo, God has moved the hearts of some people who have heard our message, and they have begun meeting together. It seems that they are now earnestly searching the Scriptures and even reading books by Charles Spurgeon. Pressure from the community is rising against them, yet we rejoice that the Lord is at work! There are ten people who make up this small group, and they are now asking for our help in starting a church. Please pray for us. We need much wisdom and discernment concerning these things. We glorify Christ, and we pray for you before the throne of grace!